This is part of our “How to Get Clients & Keep Them” series. This is our last workshop for the year. Now is the best time to begin putting together your plan for a massive kick-off for next year. So, if you wish to know how to overcome 3 of the biggest problems business have when trying to start or grow their business, then come to our workshop. Problem 1: Limited time with new clients. What I referred to as the “conversational onboarding process”. We normally sit with our clients and discuss the challenge that has bought them to us. In this first meeting, just as we are attempting to understand their pain, they are trying to understand if they should trust us enough to share their problem. Problem 2: Most new clients don’t know our expertise. They are relying on what they heard from the person who recommended us. Problem 3: The long periods between when we meet with our clients can lead them to reconsider their decision to work with us. Since our meetings with them are long in-between and our only connection with them is through our proposal, we have no accountability with them until we meet them again. If we are just starting with them, they may reconsider their decision to work with us. Want to learn how to overcome these problems using simple marketing automation? 3. Automated procedures that will overcome the 3 biggest obstacles when one is starting a business. 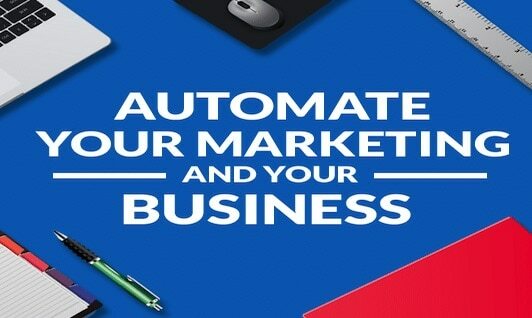 In this workshop, I will share how we helped others to easily overcome these pains by using Simple Digital Marketing Automation techniques. We will share with you the tools you can use, even if you are on a shoestring budget. So, if you are struggling to find and keep clients, this is a great workshop to learn success strategies and the tools you can use to achieve it. A workshop for Startups, small business owners, mindset & business coaches and anyone who wants to make their side hustle into a full-time gig. Razz provides strategies that will help grow your business to levels you dreamt about when you first started. Whether it be generating new leads through digital marketing, brand awareness through social media, understanding financial basics or struggling with taking on a leadership role.